Argentine Pres. 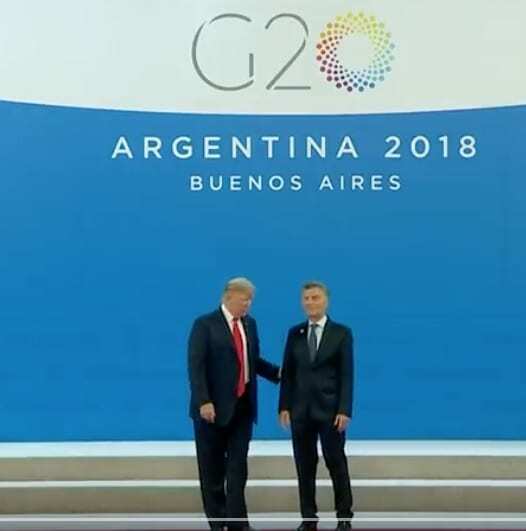 Macri with Trump, for group G20 photo. Few seconds later he was dissed by Trump by simply walking off on him, making him a laughing stock. Serves him well. And typical clueless self-absorbed Trump, of course. Atilio Boron, a leading left political activist and well known sociologist in Argentina and Latin America is interviewed by Jorge Geloso about Argentina’s impending economic and political crisis accelerated by the election of Washington’s new Trojan horse in the Southern Cone, Mauricio Macri, a tool of internaitonal capital and point man for the Argentinian comprador elites. (Spanish language). 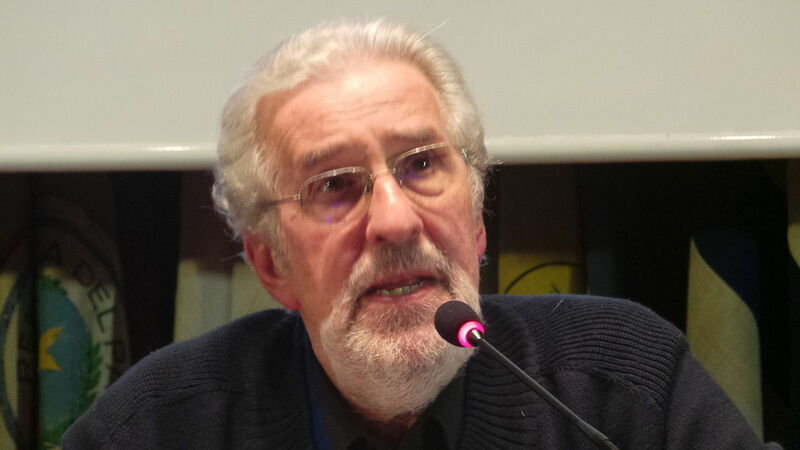 Atilio Borón is an Argentine sociologist. Borón received a PhD from Harvard University. He worked as a Professor of Political Science at the Latin American Social Sciences Institute and at the University of Buenos Aires. He also served as Secretary General of CLACSO, an academic umbrella body for Latin America. In 2005, he signed the World Social Forum‘s Porto Alegre Manifesto. At the Transnational Institute, he serves as Director of the Latin American Programme of Distance Education for Buenos Aires, Argentina, and a collaborator of the New Politics project. He also serves as director of the Center for European and Latin American Research in Buenos Aires. He also writes a column in a national Argentinian newspaper. Jorge Gestoso (born 20 March 1951) is an Uruguayan journalist who was born in Montevideo. For 16 years, he was the Principal Anchor and symbol of CNN en Español, as well as Senior Washington Correspondent. CNN en Español is a television network that reaches all the Americas and the Caribbean and is one of the networks of CNN, the Cable News Network, with headquarters in Atlanta, Georgia, North America. The Argentinian president was left alone on stage when his US counterpart, Donald Trump, walked away due to a misunderstanding during a photo opportunity. Both leaders shook hands before Trump left the stage, with Macri appearing to call after him. It appeared the Argentinian wanted Trump to remain on the stage as they awaited other world leaders for an official members’ ‘family photograph’. Be the first to comment on "Atilio Boron entrevistado por Jorge Geloso"